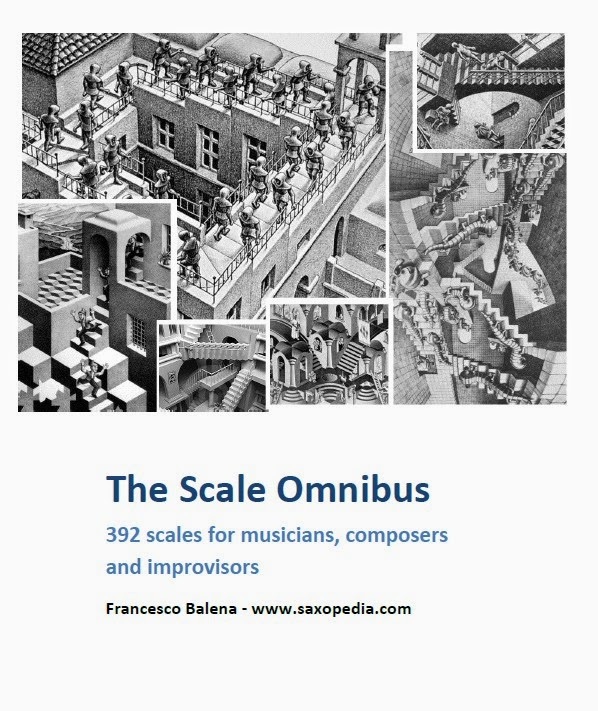 Francesco Balena, of www.saxopedia.com, has put together a fantastic book called The Scale Omnibus and is offering it as a free download. This is basically a compendium of 392 distinct scales in all keys, very useful indeed. Download it this very minute! 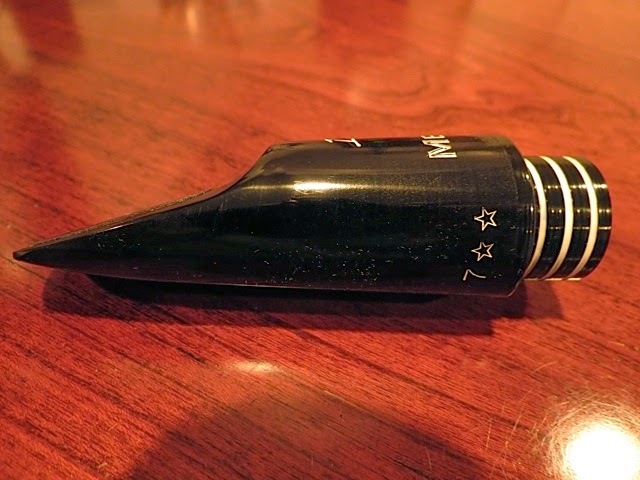 The new 10mFan tenor mouthpieces have caused quite a stir in the saxophone community. The SOTW thread started when the mouthpieces were launched is the longest running threads in SOTW history with over 1,600 comments and a quarter million views! The pieces were designed by Mark Sepinuck, who many know by his 10mFan eBay user name. Mark is one of the world's most prolific dealers of vintage horns and mouthpieces and has probably played more vintage pieces than anyone else on planet earth, so he has a unique perspective on what makes a mouthpiece play great. After selling vintage pieces for thirty years he wanted to create a modern piece that outplayed the vintage pieces that are able to get a vintage or modern sound depending on how you play it. He worked for a year and a half with Eric Falcon getting every aspect of the designs just right. Mark uses the very best German bar stock hard rubber, which is really the only way to go. I'm just never satisfied with pieces made with injection molded resin compound. The finish work on these pieces is excellent and the consistency is great. You don't need to try four or five in order to find the one that plays. Mark believes that his pieces will take people away from the vintage pieces that they have playing for years. The 10mFan pieces are prices quite well compared to the few mouthpiece makers who are using hard rubber bar stock. One thing is certain about Mark's pieces, they have great response and they take the air like crazy. To me these qualities are not simply a matter of personal taste, either the piece feels great or it doesn't. I think that not every single player might not like the sound of 10mFan pieces enough to switch, but every player will appreciate how they feel and respond. These are NOT copies of vintage pieces, they are engineered from the ground up, unlike many modern pieces that are merely CNC'd from scanned specs of old Links. I tried all three pieces. The Boss, the brightest piece of the three, had a bit too much baffle for me. This piece is for someone who want a bright, punchy sound that can peel paint, perfect for R&B, Rock and Funk players. The middle piece is the Robusto, which has a medium baffle and can easily do everything from Rock to Classic Bebop, kind of a Hard-Bop vibe. All three pieces have medium large chambers and can take a lot of air. The Robusto reminded me of an Early Babbitt, still a Classic sound but you could drive it and get more edge and fatness if you wanted. The warmest piece is the Merlot. The Merlot could be compare to a Slant Link, though it doesn't really have the same woody sound as a Slant. I would have to describe the Merlot as a distinctly modern sounding warmer piece. The Merlot has more of a shaded warm sound compared to the Robusto, but it is really pointless to try to describe the qualities of these pieces in anything other than general terms because they just aren't exactly like anything else on the market. One thing that is quite interesting about these pieces is the fact that it's possible to get a really wide range of tone qualities from them, depending on how you put air through them, and on what brand and strength reed you use. Just listen to the sound clip on the 10mFan audio clips page of Jeff Rupert playing the Merlot and you'll hear a fluffy, dark Getzian sound and Ian Tordella playing the same piece sounds like Mobley. Then listen to Joel Frahm playing Inner Urge the same piece and you'll hear something entirely different, his sound has much more edge and clarity with a strident quality. When trying the 10mFan pieces you should prepare yourself with at least four or five brands of different reeds, and in a range of strengths. This is actually a good approach when trying any new piece. Make sure you have brands with different types of cuts, like thicker Francios' or Blue box Vandoren, medium cuts like Roberto's, and cuts with less heart like Jazz Selects of Riggottis. The same brand of reeds will play totally differently from mouthpiece to mouthpiece and you might miss the fact that you found the perfect piece simply because you didn't try the right reed on it. Mark stressed the fact that you can color the tone with different brands of reeds rather than running to a re-facer. I applaud Mark for creating a groundbreaking new mouthpiece. He had a unique vision and he carried it out, resulting in a totally new approach to mouthpiece design. Mark has created a piece that is good enough to make a lot of picky and stubborn saxophonists give up the pieces that they have played for (in some cases) decades. These mouthpieces have definitely upped the ante in the custom mouthpiece world. I'm happy that I have something to recommend to my tenor students that doesn't cost and arm and a leg and has consistent workmanship. 10mfan is now getting dealers all over the world to start carrying his mouthpieces, so players can have the opportunity to try them out and see what all the excitement is about. I look forward to checking out the upcoming metal tenor pieces, hopefully the alto pieces will not be far behind.